Thank You CNMI & Guam for a Super Successful 2007 CNMI Arbor Day Celebration! Vincent Fajardo, 6, plants a coconut tree with [his] sister Brianna, 10, on the side of the road near the entrance to the CNMI Veterans Cemetery in Marpi during the celebration of CNMI Arbor Day Saturday morning. The event is spearheaded by Beautify CNMI! 's Arbor Day Committee. (Jacqueline Hernandez). We made front page of the Tribune. Click here. Click on the photos below to enlarge them. The group was too large for our photog, so a second picture was necessary to capture us all. Even so, these are most of us but NOT all of us who were there. There were a bunch more of us who arrived about an hour later, so they missed the group picture. One of two flame trees that the family of the late Jesse Castro planted. His mother, Doreen DeJesus, and sister Lisa Castro-Pocaigue, flew up from Guam to join family in Saipan for the planting. Here's the story that appeared in the Tribune. Families of the CNMI's fallen heroes came together yesterday morning and remembered their departed loved ones with the planting of hundreds of trees at the CNMI Veterans Cemetery in Marpi as part of celebrations for CNMI's Arbor Day. The families of the late SSgt. Wilgene Lieto, Cpl. Derence Jack, Lance Cpl. Adam Quitugua Emul, and Cpl. Joe Junior Gogue Charfauros joined at least a hundred community members for the tree planting ceremony. Military Veterans Affairs Office executive director Ruth Coleman said the Charfauros family in Rota even flew in for the event. Families of the late Jesse Castro also flew in from Guam, while the family of the late war veteran Gregorio Cabrera were also present. Coleman said many CNMI soldiers on active duty also planted some trees. The family of the late Sgt. Yihjyh “Eddie” Chen called Coleman from Guam to acknowledge the event. Beautify CNMI founder and Arbor Day Committee officer Rep. Cinta Kaipat expressed her gratitude to the participants, saying it was another successful tree planting event. “I am delighted and grateful for the response from the community once again. I am touched and honored to have all the three islands participating in the event,” she said. CNMI forester and Arbor Day Committee officer Vic Guerrero said Arbor Day has been an annual tradition in the CNMI. Arbor Day is also being observed across the US. “The increased observance and emphasis given by the CNMI demonstrates our deep appreciation for the beauty of trees and their many benefits,” reads part of the proclamation letter declaring Arbor Day. Guerrero said at least 45 flame tree seedlings were planted yesterday. The flame tree is the state tree of the CNMI. Two Golden Showers trees were also planted at the entrance to the veterans memorial park. Guerrero said these two trees would later produce chandelier-like yellow flowers that are appropriate to honor the CNMI war heroes. Public School System's Troops-to-Teachers participants led by coordinator Geri Willis also participated. Thirty former servicemen and women-turned-teacher aides said the event is very significant for them. Troops-to-Teachers pioneer member Winfred Camacho said they participated to honor the CNMI's fallen heroes. Members of the Veterans of Foreign Wars Post 3457 led by Commander Mariano Fajardo, the U.S. Coast Guard, Division of Agriculture, ISA CNMI, Friends of the Mariana Islands, Youth Center of the Church of the Latter Day Saints, CNMI Boy Scouts, Team Chura Talo, RC & D, Northern Marianas College, Office of the Governor, among many others, were also present. Families and community members who also shared their time yesterday were Dr. James Hofschneider and family, Mike and Juanita Sablan family, Ed and Lupe Flores family, Jerry Facey, Rep. Cinta Kaipat's Office and family, Tom Gibson, Ray Mafnas and many more. 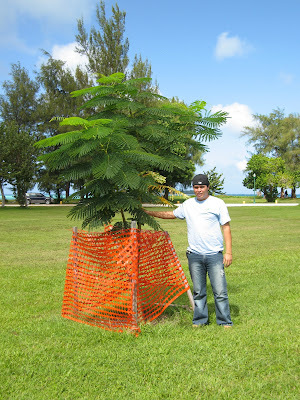 I will post more 2007 CNMI Arbor Day Celebration pictures later. Here are several activities for this weekend to choose from. Beautify CNMI! 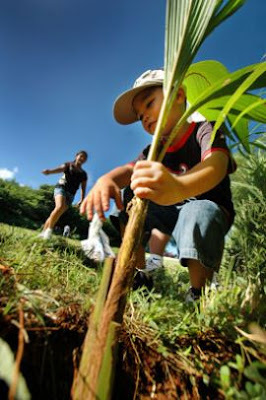 's Arbor Day Committee invites the public to join in the fun by helping plant some coconut trees and flame trees in celebration of CNMI Arbor Day! The Committee is also happy to announce that Beautify CNMI! 's wildly successful Adopt-A-Flame Tree for $20 Program will also be offered. You may plant a flame tree, but why not add that personal touch by adopting a flame tree in honor of your loved one, school, organization, or for yourself? You're worth it! Rain or shine, meet us at the entrance to the CNMI Veterans Cemetary at 8 a.m. this Saturday, October 27. (Take the road to Banzai Cliff; the Cemetary should be on your right.) We will have a brief ceremony before the planting. The planting will be led by DLNR-Forestry's Vic Guerrero and staff; Brad Doerr of MINA; and Ken Kramer of RC&D. For those who can't make it out to Marpi for the planting, but who would like to plant somewhere, either at your house or at school, you may pick up a plant or two (limit two plants per household) from DLNR-Forestry in Kagman. Plants are available on a first-come, first-served basis. So, don't miss out on the fun. See you all at 8 a.m. this Saturday! For more information, call 664-8974 or 898-4490. MINA will be hosting a "Moonlight Cruise" on the Jade Lady III, October 27, 7:30-9:30 pm. This includes appetizers, soft drinks, beer and wine for the low-cost of $20 per person. All proceeds will benefit MINA's Environmental Education Camp for teachers. What a great way to kick off your Halloween. Tickets are available from board members or meet us at the Outer Cove Marina at 7:00 pm to purchase yours. Come join members of Marianas Dive as we descend upon the sandy shores of Obyan beach in an effort to keep one of our most beautiful dive spots pristine! We'll begin by working up a slight sweat tackling the topside litterbugs then, with a refreshing plunge, we'll rid the waters of all! unwanted debris. Everyone is welcome to pitch in on the surface but underwater the effort is reserved for certified scuba divers only! Come on out and enjoy the sun, sand and morning surf with a bunch of divers! Time: 10:00 AM Check in. Who is this for: Anyone interested in taking this time-honored tradition to a new level. A what? That's right bring your pumpkin and carving utensil and prepare to get wet as we kick off the Halloween season like never before! Meet at the beach for a day of fun and laughs and of course some diving too! Is carving a pumpkin underwater really any different than on land? Come on down and find out for yourself! Marianas Dive is a growing group of individuals with a passion for everything underwater and speci! fically what the Marianas (Saipan Tinian & Rota) have to offer as a dive destination. We encourage all members of the community to join and help us reach our goal to build a truly world class dive destination while promoting what we have, locally and on a global level. WEDNESDAY, OCTOBER 31st -- HAPPY HALLOWEEN! 2) First Lady's Vision Foundation and Power 99 at the Chamolinian Village -- Bring your kids to Chamolinian Village in Garapan where the First Lady and Power 99 will be passing out candies! For more info, contact Remy Buniag at the Governor's Office. 3) Trick-or-Treating at Tottotville -- It's a popular tradition. For those living closer to the southern part of our island of Saipan, our generous home owners in Tottotville will, once again, open their generous hearts to the gouls and goblins that grace their doorsteps. Below is a slide show and a personal narrative from Ken Kramer (RC&D), Chair of Beautify CNMI's Parks & Trails Committee--with additional contribution from Tom Gipson (Safety 1st)-- regarding the awesome job the Boy Scouts Troop 910 from Tanapag did to clear the Banaderu Trail. Tom, Ken and Oscar Camacho led the Scouts. I met up with the Boy Scouts, led by Tom Gipson and Oscar Camacho on Friday night. I brought my two dogs: Playdough (known as Sunshine by Oscar) and Lucky (the black dog). We watched the stars and then went to sleep at around 9 PM in anticipation of a hard day of work the next day. Other than the stick poking me through the bottom of the tent, I slept fairly well. The next day, we set out to work on the trail after a breakfast of cereal and milk. Tom rallied the boys, gave them a safety talk, and we made plans for the day. Around 7:45 AM, we headed towards the trail, loaded with picks, machetes (carried by the adults), shovels, a saw, and the two dogs. After an hour or so, just as we were getting warmed up, clearing brush alongside the trail, moving dead logs out of the way, it started pouring buckets of rain onto us. It was a bit unsettling. We were a bit discouraged and several of us had thoughts of taking a break and going back to dryness at the camp. Lucky was so miserable from the rain that she drew everyone’s attention by moaning, belly up, in a forlorn look that we all felt, but did not express. After Tom said: “We are going to stick it out and slog through this rain,” we renewed our efforts, working to stay warm. Eventually, the sun came out and it was a beautiful day, again. This was not easy and was often dangerous work. Tom, our fearless leader, seemed to get most of the injuries. First, he got a splinter from one of the iron rebars holding the concrete slab steps. Then, he tried to catch a rock rolling down the hill and received a souvenir scratch on his shins where it hit him. I narrowly escaped falling by doing a back flip down the steepest part of the trail, when the log I was pulling gave way. Instead, I threw the log as hard as I could down the hill, which kept me from falling. It pays to study physics. Boonie bees also attacked some of us: I got stung twice. On the return to camp, I was so physically exhausted I could barely put one foot in front of the other. We were all exhausted. According to Tom, Oscar went to sleep around 6 PM. I went on a critical supplies run and returned with water, ice cream, and chocolates. Tom and the Boy Scouts, who were working on their *BSA Historic Trails Award, stayed another night and were scheduled to continue working on Sunday morning to finish the trail. (The BSA Historic Trails Award is given to scouts who camp two nights on a BSA recognized trail of historical significance, perform community service work on the trail, and learn about it's role in history.) I had other commitments on Sunday. The Banaderu Trail is now far superior to what it was before. It is a fabulous trail with great scenery along the way. Thanks to the Boy Scouts, it is now ready for travel. The members of the Boy Scouts Troop 910 were: Sam Park, Jay Britt, Jotham & Joshua Camacho, and Garrett Gipson. Well done, Boys! Thank you! Super science teacher/professor Bree Reynolds brought her Hopwood and NMC students out to Susupe Park Saturday to give Susupe Park some much-needed tender loving care. Student, faculty, and staff members who belong to the SAVE Club, WAVE Club teamed up with other Beautify CNMI! volunteers, such as Rep. Cinta Kaipat's family, and RC&D's Ken Kramer teamed up. Some of us picked up trash while the rest of us pained over ugly gaffiti. We're not finished yet with this huge project, so be on the lookout for future announcements to join us, won't you? By the way, I believe the paint we used was part of the paint we purchased to paint the lighouse. The funding for that came from MVA, so thank you, MVA! I came across this newsletter that was recently published by Marianas High School (MHS) acknowledging all the hard work that Beautify CNMI! volunteers and others put in to paint the classrooms at MHS. Click here to view the pictures and read the articles. Way to Go, volunteers! COME OUT AND HELP HOPWOOD'S S.A.V.E. (Student Action for a Viable Environment) and Hopwood's My WAVE Club, as they paint over graffiti, pick up trash and spruce up Susupe Park. Between Saipan Grand and Saipan Community Church. Bring your paint brushes, trays, rollers, scrapers, and brooms! We also need newspaper or drop cloths. 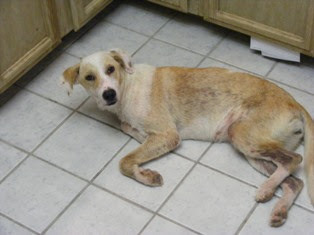 Reward: A Reward is being offered for Sandy’s safe return. If you or someone you know has seen Sandy, please contact Jeri Hallman at ManningHallman@aol.com, or (214) 725-9530, or leave message at 234-8950 with the operator or leave message at 233-1010. "Sandy was found. Thanks to the picture in the paper. [A gentleman], who has a constructioncompany, found her at the marina last evening, felt she was a lost dog, and took her to his construction company site near the airport where he keeps a number of dogs. He saw her picturein the paper this morning, called me, and I picked her up at 8. She is back at the condos--drank3 bowls of fresh water, ate 2 bowls of dry dogfood, and helped polish off a cheeese omelette. [The gentleman] took the reward which [the owner has] paid him." In an effort to reach out to the general public, and educate adults and children about responsible pet ownership and compassion for animals, PAWS and the Beautify CNMI! Animal Welfare Committee are making a real effort to hold more events that involve YOU, the general public. So, join us this October for our Open Meeting, the Feast of St. Francis of Assisi, and/or Kids' Night Out. Or, if you have some time, volunteer to give a responsible pet ownership presentation to elementary school children. At the very least, ask one of our board members for an animal-care brochure and hand them out to someone you know. The point is - we want YOU to make a difference, and we need YOU to volunteer and contribute. It all starts with YOU. PAWS is hosting a meeting for those that would like to discuss and learn more about animal-related issues and projects. PAWS members, lawmakers, and members of the general public that are in attendance will have an opportunity to learn about the PAWS education program, pick up informational brochures on animal care, ask questions about the Animal Protection Act of 2007 and the Mayor's Shelter, or share ideas, comments and concerns with lawmakers and PAWS Board Members in attendance. Those in attendance can enjoy free appetizers and a no-host bar, courtesy of Fiesta Resort. PAWS and Mt. Carmel Church will be celebrating the Feast of St. Francis of Assisi, the patron saint of animals and the environment. Around the world, the Catholic Churches recognizes the Feast of St. Francis of Assisi on October 4th by offering a Blessing of the Animals. Traditionally, people bring their animals to the church for a blessing by a priest, pastor, or bishop. 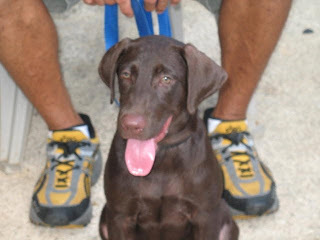 This year, Saipan will celebrate its first Blessing of the Animals at the Mt. Carmel Catholic Church Fountain. All community members, Catholics and non-Catholics, are invited to bring their animals to the Mt. Carmel Fountain and receive a blessing at 8:00 a.m. on October 7th. PAWS and Mt. Carmel Church would like to remind participants to have their animals on a leash. And perhaps more importantly, participants are asked to make arrangements for the direct transportation to and from the Blessing. No animals should be kept waiting in a car before, during, or after a Mass or service. Cost: $10.00 for the first child and $5.00 for each additional child in an immediate family. Looking for a few hours to yourself? Want to enjoy a quiet dinner with someone special? Well, PAWS is here and able to help! Starting in October, PAWS and Fiesta Resort have teamed up to host a fundraiser called Kids' Night Out (KNO). Children ages 3-12 are welcome to participate in our fun program while parents take a few hours off. During this four-hour period, the children will play video games for a half hour, be engaged in arts and crafts, story reading, and an educational movie. Fiesta Resort has generously offered to provide snacks and caffeine-free drinks. Check-in will be between 6:00 and 6:30 p.m. Parents must pick up their children no later than 10:00 p.m. If you are interested in learning more about this great escape, please contact Melissa Simms at melissasimms56@hotmail.com. Also, don't forget to turn in on Monday mornings to Power 99 at 9:00 for the PAWS Pet Stop with PAWS Board Member Rose Callier.For more information on these events, and more, please visit our website at www.paws-saipan.org or www.paws-saipan.blogspot.com. I also must take this opportunity to thank Fiesta Resort and the Saipan Grand - both of which are Tan Holding Companies - for their incredible generosity. They came to us and offered us the use of their facilities to raise awareness about responsible pet ownership and compassion for animals. We are incredibly grateful for this kind act and their support of community efforts. Thank you. The Labor Trash Force marked the last "Austerity Friday" by picking up trash on Chalan Tun Tomas P. Sablan Road. Labor's adopted section begins from the Mobil Gas Station in Chalan Piao to the last Pavilion at San Antonio Beach. (About half of the cleanup participants aren't pictured in this photo). GREAT JOB LABOR TRASH FORCE! The following article appeared in the Tribune last Wednesday. Department of Labor personnel and some family members collected two truckloads of garbage during a cleanup operation along Beach Road in Chalan Piao to San Antonio on Friday. Twenty-eight Labor officials and staff members brought family members along and teamed up with the Beautify CNMI led by Rep. Cinta Kaipat in combing both sides of Chalan Tun Tomas P. Sablan for trash. Labor Deputy Secretary Alfred A. Pangelinan told Saipan Tribune yesterday that majority of their employees volunteered their time to do the cleanup. Friday was the last austerity holiday for the government. Pangelinan said they started near the Mobil Oil Station at 8am and reached the San Antonio Beach south of the Pacific Islands Club at 10am. At the beach, they had a barbecue and had lunch together, the official said. Pangelinan said that Labor personnel are overloaded with work, but most of the employees were determined to participate in the effort. “It was a good day,” he added. Pangelinan said Labor had adopted the place for regular cleanups and the turnout of participants this year was a lot better than last year. “We want to send out [a message] to the community that we also want to put in our share [in beautifying the island]. We don't only take care of their applications but also help beautify,” he said. Labor Secretary Gil M. San Nicolas failed to join because he had a meeting. His secretary, Maria Agulto, was there. Most of the trash collected were soda and beer cans, towels, garments, shoes, and plastic materials. Here's a link to the Tribune page.